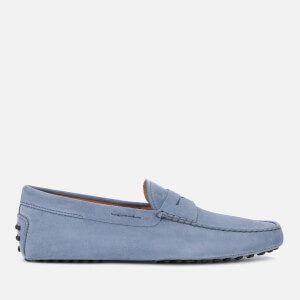 Iconic driving shoes from Italian luxury accessories label, Tod’s. Made in Italy from smooth olive coloured suede, the ‘Gommino’ slip-on moccasins are designed with a front lace fastening across the vamp and exposed hand stitching on the moc toe. 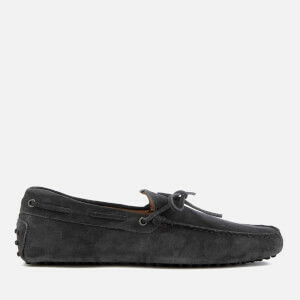 The driving shoes sit on Tod’s signature Gommino rubber sole which extends to the heel. Complete with a leather lining, a silver-tone foil logo on the footbed and a branded dustbag. Upper: Suede. Lining: Leather Sole: Rubber.